Born in Poznan, 1980. Studied at Fine Arts Academy in Poznan. Obtained Diploma MA Fine Arts in Graphic Department at Fine Arts Academy, Poznan in 2005. Currently she works and provides lecturers as assistant Doctor at the University of Art in Poznan in Multimedia Department and High School of the Computer Science and the Management in Warsaw in Graphic Department. She takes a part in many international art contests, group and individual exhibitions all over the world. 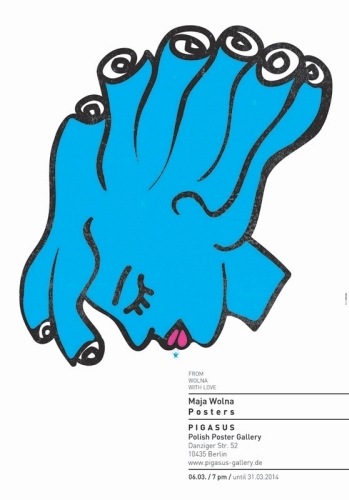 She is a winner of the Gold Medal in International Poster Biennial in Warsaw, 2010, Grand Prix and Second Prize in International Poster Competition 'Anti Aids Ukraine' in Kharkiv, Ukraine, 2006. Among others her works were presented on the international exhibition Passion for Freedom in Unit24 Gallery in London. She cooperates with the polish daily magazine Gazeta Wyborcza and she is involved into social and political problems. She is the author of the series of posters about muslim women. Posters, graphic design, illustrations, collages are a part of her art. Currently she is working on a video art and objects based on her graphic experiences.